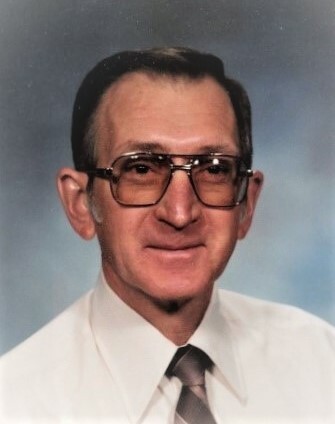 Joseph Daniel Svoboda died March 19, 2019, at his home outside of Smithville. He was born October 9, 1938 in Smithville, to Joseph Travis Svoboda and Matilda (Michalik) Svoboda. A born athlete, Joe excelled in football and track at Smithville High School, being named All District and All Central Texas. After graduating from high school in 1957, Joe worked in Austin for a year before joining the United States Air Force in 1959 with impressive scores on his aptitude test (which would surprise no one who knew about his many feats of backdoor engineering and multiple adventures in high school). 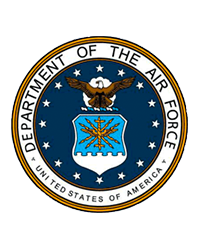 He was eventually stationed at Lowry Air Force Base in Denver, Colorado where he put his mechanical aptitude to good use teaching and training other airmen in missile maintenance while also working a second job and starting on his BA degree at the University of Denver. After he completed his service, he completed his BA in Elementary Education and began teaching for Denver Public Schools, where for 38 years he taught 4th and 5th grade students to be independent, confident, and believe in their own potential. Never one to do just one job when he could be doing three, Joe was a teacher, an assistant principal, and sponsored the school store, teaching a multitude of students about entrepreneurship, customer service, and making good deals. Many of his students remember and appreciate the fun they had, the lessons they learned about life as well as school, and what it meant to be one of Joe’s students to this day. A lifelong learner, Joe also earned a Master’s Degree, and was ABD for his Doctorate in education. But more than that, Joe was a born engineer who never met a problem he couldn't solve or a piece of equipment he couldn’t take apart and fix (or improve! ), and he delighted in always figuring out new things and better ways to do them. In 1987, Joe married Kathleen Crawford, his best friend and love of his life on the island of Jamaica. When they retired, Joe and Kathy moved to Smithville where they continued their adventures of traveling and creating beautiful gardens. Always up for new adventures, Joe visited multiple countries, including Spain, Italy, France, Croatia, Greece, Morocco, the Caribbean, Mexico and Canada, where he never met a stranger and put his skills in wheeling and dealing to good use. He also traveled everywhere across the United States, especially enjoying salmon fishing in the Pacific Ocean in Northern California and looking at the leaves in New England every fall. He also had extensive knowledge in planting, composting, and winning the battles against multiple varmints and rodents who always received a fair chance before being dispatched to the great beyond. As Joe would say, they had the opportunity to “choose wisely” even if they didn’t always take it! He was preceded in death by his parents, sister Frances Fuqua and her husband Floyd, and his brother Robert. He is survived by his wife Kathy, his sister Betty Blaha (John), nephews John D. Blaha (Kay), Terry Blaha, Patrick Blaha and niece Brenda Murphy (Randy); nephew Robert Svoboda (Tammy); nieces Laura Fuqua, Stephanie Ulrich (Bill); step-children Kerry Venegas, Jeffrey Venegas (Crystal), and Brian Venegas; five grandchildren, two great grandchildren, great nephews, a great niece and cousins. Joe was a connoisseur of good wine, good food, good fishing, good travel and a good life. One of his pleasures was to fire up the grill, invite a few family and friends (or 100) over to the house and entertain until the night grew long. His parties are still epic among all of the friends he gathered throughout his life. He was truly a man who loved living and was good at it, and spent all of his time exploring the world, loving his family, caring for other people, and making the world a better place. They really don’t make them like him anymore, and we think that maybe they never did. Donations in Joe’s honor can be made to the Smithville Food Pantry and Angels Unaware, Smithville.